Scan your receipts, invoices, business cards, and other documents into Neat using the industry’s most popular scanners. Due to Neat’s roots as a scanner manufacturer, we understand the important role a scanner plays in importing your financial documents. Our certified hardware program is designed to ensure that the most widely used scanner brands are compatible with Neat. Leading brands such as Fujitsu, HP, Panasonic, Epson and Brother have chosen to partner with Neat and recognize its value as a solution. Create the best setup for your office with Neat’s compatibility features. 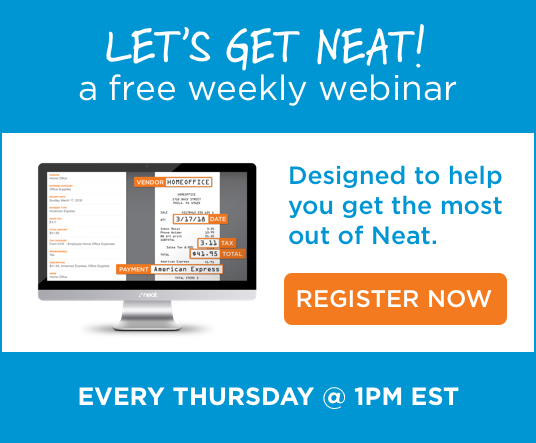 Whether you use a 3rd party device, a Neat scanner, or no scanner at all, Neat can help you accomplish exactly what you need. Click below for more info on getting started with your scanner. That’s Neat!